Jose Mourinho insists he has complete confidence in his defence despite doubts over the fitness of John Terry ahead of Chelsea's trip to face Tottenham in the Premier League on Sunday. Mauricio Pochettino's team ended a run of nine top-flight meetings without a win against their London rivals the last time the two sides met by shooting their way to a 5-3 victory. Chelsea have conceded 23 goals in 13 Premier League fixtures this season – the sixth-worst record in the top flight - but have kept clean sheets in successive victories over Norwich City and Maccabi Tel Aviv. "I have complete trust in Gary Cahill and Kurt Zouma, which is why in an important match for us on Tuesday I left Kurt out after the good performances he is having to show Gary that confidence," Mourinho said. "They are ready. I am not saying Papy Djilobodji is ready because he did not have chances to play and his is a different situation, but Zouma and Cahill are both ready and if John doesn't play, I go with them. "I don't want to say that it is impossible he plays because maybe he plays and people will say that I was hiding it, and I am not hiding. Today he didn't train but we have a little hope that it is possible." The Portuguese coach also disclosed doubts over the condition of Ramires and Radamel Falcao and ruled out a return for Thibaut Courtois after a knee injury. "Ramires is the same situation as John, I don't know, let's wait and see," Mourinho added. "He has a chance. Falcao is still in recovery and Courtois is training with the team but not playing Sunday. He is making good progress." Having ensured Europa League progression with victory over Qarabag in midweek and remained unbeaten since the opening day of the Premier League season, confidence at Tottenham is high. Pochettino's team could go 13 games unbeaten in the top flight for the first time in their history if they get a result against the defending champions, and they have avoided defeat in 18 of their last 20 league matches on home soil. 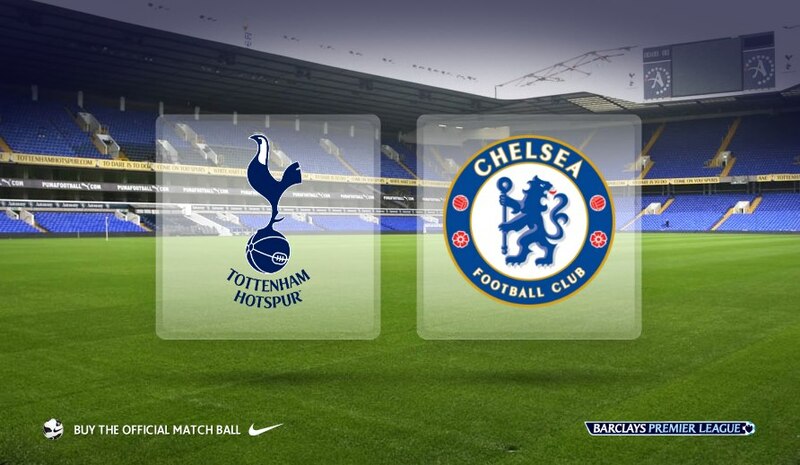 "We know it's a tough game and a derby," the manager told Spurs' official website. "We need our supporters to send the best energy because it's an important game for them and us. "We need energy because it's a Sunday morning, flying back [from Azerbaijan on Thursday] and no day to prepare for the game. "They have very good players, a great manager, and it's always tough. They have time to recover points in the table." Nabil Bentaleb (ankle) and Erik Lamela (groin) could be in line for a return to the Spurs squad for Sunday's clash, but the match will come too soon for Nacer Chadli (ankle) and Dele Alli will miss out through suspension. Abeg I wan make chelsea win totteham with 2goals v1 from totteham cos I don de pity chelsea coach,he called me last time demanding Fr mbaka of Adoration ministry Enugu'nomba.Thou am a fan of Manchester United,what are friends for,I gave him d man of God's no. @Winace! I don't mean to be rude tho, please can we go to church?